Good home security is guaranteed with good locks but not all people have the capacity to change their locks often and lock rekey is the best way to renew your lock system and reinforce your safety. 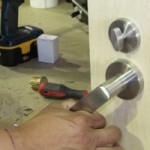 FC Locksmith is an experienced and well organized contractor, which has the capacity to offer the best and most inexpensive solutions to all residential and commercial customers. The truth is that having the locks replaced would cost more than rekeying them and when the budget is limited or the locks of a new home are relatively new and you don’t want to replace them, lock rekey is the best and cheapest solution. 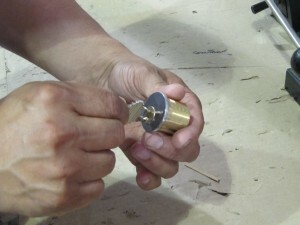 Rekeying will not require the replacement of the whole lock. 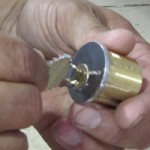 It would usually require the replacement of the tumbler of the lock, so that you can use a new key. The purpose is to keep away those, who may have your house or office key. Old landlords and tenants, business associates or friends, realtors or relatives, they may all have your house keys without you knowing it and, thus, they may all be a potential danger. The technicians of FC Locksmith are experienced with such procedures and they may also offer 24 hour lock rekey since it can make a huge difference to your security. The lock will not actually change but the key will be brand new. Sometimes, this may also be important in times of lost house keys or when keys get distorted or otherwise damaged. The mobile teams of our company can provide immediate service and your world can literally change within a few minutes. Lock rekeying is also an excellent preventive measure in case you have old keys, which may have started to lose their edge, and have no money for entire lock replacement. The important thing is to keep your keys new and in perfect condition and, above all, personal and FC Locksmith has the knowledge and means to assist you professionally and immediately.